When Geneva’s finances make the news it is typically bad. At the end of 2016, the canton had debts of CHF 12.5 billion, equal to 153% of its income. 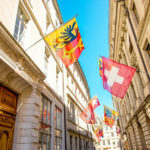 In January 2018, the rating agency Standard and Poors gave Geneva a negative outlook citing risks related to the canton’s poorly funded public pension scheme. This time the news is good. The CHF 80 million budget deficit predicted for 2017 turned into a CHF 69 million surplus, CHF 149 million better. State revenue was 2% higher than predicted. 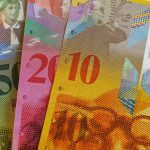 Instead of CHF 8.06 billion, the canton raked in CHF 8.21 billion. 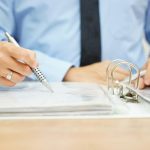 Personal taxpayers coughed up CHF 112 million more than expected, partly due to the tax amnesty offered to those with undeclared assets ahead of the international exchange of banking information – Switzerland’s cantons levy wealth tax, requiring assets to be declared in tax returns. Big profits for the Swiss National Bank, which counts the canton of Geneva as a shareholder, added to the bounty. Not everything was so rosy. Tax received from companies was lower (-3.7%) than the year before as was tax from real estate (-10.5%) and inheritance (-26.6%). And, spending was up 1.9% compared to 2016 to CHF 8.15 billion, mainly due to new public sector hiring. Other head winds included increased welfare spending and an underfunded public sector pension. What about the canton’s debt? Three years ago the canton decided to structure investments to be self-funding, one of the things that allowed the canton to reduce its debts to CHF 12.4 billion (-0.1) by the end of 2017. Debt was CHF 13.4 billion at the end of 2014. CHF 12.4 billion is still an eye watering 152% of revenue. The canton’s budget for 2018 forecasts a loss of CHF 180 million. Minister of finance Serge dal Busco told Tribune de Genève that he’s not happy but that his hands are tied because the canton’s Grand Council voted in favour of it. The good news may not last.